Bob Marley, U2, Roxy Music and Nick Drake are among the artists who have called the Island Records label home over the last 50 years. 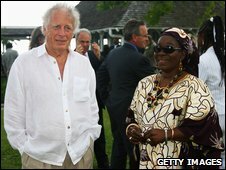 As the label celebrates its 50th birthday, founder Chris Blackwell reveals how he built one of music's most celebrated and enduring stables. The bill for a series of anniversary concerts, which start in London next week, gives an idea of the idiosyncratic and often impeccable Island line-up over the last half century. Reggae stars Sly & Robbie will be joined by Grace Jones and recent chart-topper Tinchy Stryder. Yusuf Islam, who signed to the label as Cat Stevens, is supported by Senegalese icon Baaba Maal. There is "Modfather" Paul Weller with ska pioneer Ernest Ranglin, a night headlined by indie floorfillers The Fratellis, and a final show that sees Amy Winehouse supported by Jamaican heroes Toots and the Maytals and one of the label's brightest new hopes, I Blame Coco. The Island story started in Montego Bay, Jamaica, in 1959, when 22-year-old jazz fanatic Blackwell fell in love with the music of a pianist called Lance Hayward, who had been performing in his hotel. So Blackwell took him into a recording studio. "I just loved the band," Blackwell says. "It was purely driven by being a fan. "It wasn't driven by thinking, 'This is a great business to go into'. I was teaching waterskiing which was great fun. A great way to meet girls." But he continued to take local artists into the studio and Island was soon enjoying a string of number one hits in Jamaica. By 1962, Jamaica had gained its independence from the UK and Blackwell decided that his white skin meant he "would be viewed more as part of yesterday than tomorrow". So he moved to London and set about peddling his repertoire to record shops and stalls, tearing around in his Mini Cooper with stacks of records in the back. "I loved all that. I was happy as could be. I wasn't hoping that something would happen and I'd get pulled out of it." Blackwell moved from being a car boot wheeler dealer to a bona fide music mogul in 1964, when he brought 14-year-old Millie Small from Jamaica to London to record a song called My Boy Lollipop. "I knew it was a hit when I left the studio," Blackwell says. "It just was irresistible. It sold six million, it gave me a launchpad, and suddenly I was in the mainstream record business." Millie, on the other hand, was unable to take advantage of the launchpad, and swiftly disappeared. "I was very proud of myself initially when she had this hit and was doing so well, and then I felt rather differently when it all sort of evaporated. I felt a responsibility." From that point on, Blackwell looked for artists who were likely to have long careers. "I tried to pick people who were not going to be a flash in the pan because I was always a bit scarred by Millie," he says. By the early 1970s, Island was one of the hottest labels in the country, home to rock and folk acts like Free, Traffic, Cat Stevens, Nick Drake, Fairport Convention, Emerson, Lake and Palmer and King Crimson. During his Mini Cooper days, Blackwell had released the first single by one Robert Marley. But he had never met the reggae singer until Marley walked into his London office in 1972, and asked for a record deal. 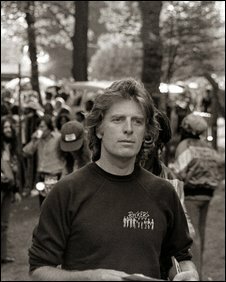 Blackwell was warned off Marley and his band The Wailers, who had gained a reputation for being difficult to work with. But the label boss took a chance. "When I saw them, I was just really impressed with them," he says. "I just felt that the best thing I could do to work with them, was to show them some trust. "I drew a cheque to them and said 'Go make me a record'. Everybody said 'You're crazy, they'll never do that, these guys are the worst guys'. But it was a good decision because it formed the basis of our relationship because it was a really great working relationship." The result was Catch A Fire, their first album for the label and the first step in bringing reggae to the masses. That had been the intention all along, says Blackwell, who tried to "tickle the ear" of rock fans in order to break out of the reggae niche. 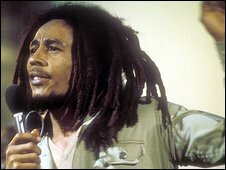 The album was credited to The Wailers, Blackwell says, because "Bob Marley and the Wailers" did not sound very rock 'n' roll. "I wanted to position them like a black rock group," he says. "I really changed it and put in synthesisers and rock guitar and stuff like that. And I got slagged for it by the purists, but what I was trying to do, was to break an artist and I wasn't doing it without his OK."
Another landmark day came in June 1980, when Marley played his last London concert at Crystal Palace Bowl. Straight afterwards, Blackwell checked out a new Irish band at a nearby pub. "I don't remember there being many people in the audience at all," he recalls. "It seemed like there were about half a dozen to a dozen, but it was a long time ago. "Although the music wasn't particularly to my personal taste, I just loved the band. I believed in them. They had an aura, they had a passion. I just thought they were going to make it for sure." That new band was U2, and make it they surely did. "I had no advice for them. Really, all I did for them was to give them a platform, which was Island Records." They were another group who benefitted from Blackwell's long-term view. Intriguingly, when asked about the ones that got away, he says he wished he had signed another Irish band. "I wish we'd got the Hothouse Flowers," he says. "I think they'd have done very well with us. Much better than they did. We were never a singles label. 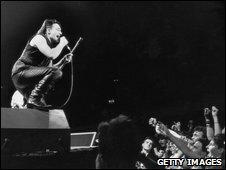 They were a band that could have had a long term career, as U2 did, but I think they were more driven into having hits." The music industry now, he says, has "crashed" - not in terms of sales, but in the way artists are allowed to develop. Everyone is in too much of a hurry, he believes, which has repercussions for finding a new U2 or Bob Marley. "There are very few artists who I feel are going to be big stars 20 years from now," he says. "I can't think of many. There may be, but I can't think of them. "Because they're overexposed too early. They don't get the chance for word of mouth and [developing] a natural organic following, rather than being force fed like a new product." Blackwell sold Island in 1989, and stepped down as its boss in 1997. 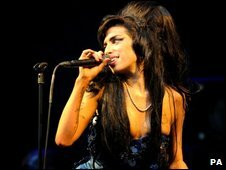 Since then, the label's biggest star has been Amy Winehouse, who Blackwell describes as "an extraordinary artist". "I'm very proud that she's on Island records. She does have the talent and ability to really last a long time. The problem is if she can survive this constant spotlight. I really hope she does." Despite the drawbacks and turmoil in the music industry, Blackwell says it is a great time for artists and entrepreneurs to take control of their own destinies, as he did five decades ago. "I think it's a very exciting time for music. If I was the age when I started here in 1962, I'd be there in a second. Absolutely in a second. With my virtual Mini Cooper."